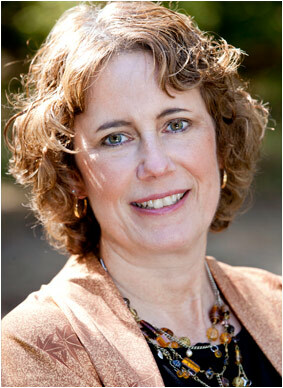 Gretchen is an author, speaker, coach and happiness expert. A modern woman who should have been born a man during the Renaissance, she irreverently describes her mindset as “What Box?” Her coaching colleagues and clients describe her as having one of the biggest hearts they’ve known. A business partner once described her infectious enthusiasm by saying, “Knowing Gretchen is like being sucked into a vortex, in a good way.” She was given the name “Sister Vision” in an African naming ceremony for her ability to hold the vision for herself and others, no matter the apparent obstacles. In December 2016, Gretchen wound up in the emergency room thinking she was having a stroke; her symptoms were diagnosed as stress. Being single, she felt trapped by a lucrative but soul-sucking coaching contract that comprised more than half her income. She loved her clients but hated the organization. During a March 3 happy hour with friends, she had an epiphany that she would remain stuck unless she tapped into her savings and terminated her contract. She awoke in the middle of the night to the following mandate, “I need to quit this contract, go to Bhutan, study happiness, and come home to write a book called Think Like Bhutan.” March 31 was Gretchen’s last day on the contract. April 9, she boarded a plane for Bhutan, the country that launched the global happiness movement. She returned on May 1 to realign her life with her new calling. Gretchen’s work on happiness blends three decades of work as an anthropologist, ontological coach, experiential educator, and improvisational comedy performer. She is relationship-focused and strives to gain a deep understanding of client needs and goals. She loves to help people explore their TWIST on life (The Way I See Things). She is passionate about helping individuals and teams shift from fixed/scarcity mindsets to growth/abundance mindsets. A visionary leader and foresight strategist in her own right, Gretchen helps people consciously manage life’s challenges and complexity as they transform their own lives, families, communities, and organizations. Her approach is consistently transdisciplinary and systemic. Gretchen’s Ph.D. advisor described her as “one of the most intellectually gifted students” she ever taught. Fortunately, comedy keeps her from getting too serious. Many people dream of starting their own business as a pathway to happiness. Gretchen is a serial entrepreneur with a passion for start-ups and business development. She has founded or co-founded four small businesses and three nonprofits. She has helped small businesses and nonprofits raise more than $15 million. Gretchen is adept at branding and brand management, content development, and digital strategy. Having started businesses on a shoestring herself, she loves to help entrepreneurs find innovative ways to do more with less, leverage guerilla marketing strategies, and build the life of their dreams. Since 2005, Gretchen, affectionately known as “the Veteran Lady,” has been a passionate advocate for the importance of community mobilization as the most reliable safety net to prevent America from losing another generation of young veterans and their families. She has spoken to more than 10,000 people across the country and was the first speaker to speak at the National League of Cities Congress of Cities on veterans issues. Gretchen founded two nonprofits to serve veterans and authored a book, Untying the Yellow Ribbon: Transforming How Veterans and Communities Thrive. She developed nationally replicable workforce training programs for the National Guard. She wrote a teaching curriculum, “Veterans Studies Weekly,” for elementary schools to create supportive environments for military children. Gretchen wrote a first-of-its-kind economic and community development plan for the City of Tyler, Texas, which garnered a $5 million investment offer. She continues this work as part of her corporate social philanthropy. Gretchen has a B.A. from Cornell University and a M.A. from The University of Michigan, both in anthropology. She is A.B.D. in Ph.D program in higher and adult continuing education. She trained with the Newfield Network and is waiting for her Professional Certified Coach credential from the International Coach Federation. She is certified in the MBTI, the Forte Communication System, and Veterans Behavioral Health. When Gretchen isn’t spreading happiness or trying to save the world, she is an improvisational comedy performer at Dallas Comedy House. She is a storyteller, poet, playwright, political satirist, and budding novelist who has no appreciation for rhyming couplets. She is a photographer and abstract painter who is bored by the old masters. She’s managing her addiction to the news but won’t subscribe to the NY Times because she needs a newspaper with daily comics. She’s a former archaeologist who makes killer sangria and a mediocre salsa partner. Her standup career never got off the ground.